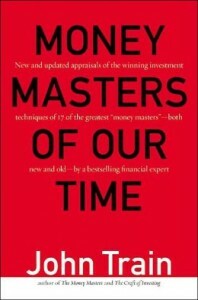 First off, I will confess that there isn’t another book with a catchier title than ‘ Money Masters of our time ’. John Train is the reviewer of reviewers and in this book he compiles brief profiles of about 17 greatest investors and money managers between the 80s and 90s, some of the very popular, successful and renowned but others may not be so familiar to everyone. Most of the profiles in this book in my opinion are very well compiled and written, with very useful information about their investment policies, strategies and money management styles but there are about two or three that I felt didn’t earn a place in such an illustrated literature material. 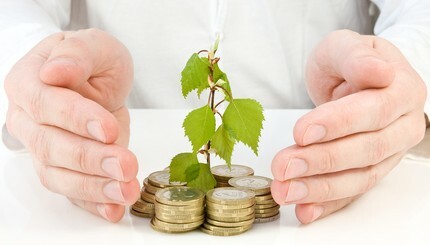 In this compilation, John Train brings profiles Jimmy Rogers, Warren Buffett, Michael Steinhardt, Peter Lynch, Phil Caret, Julian Robertson, Ben Graham, Paul Cabot, John Templeton, Robert Wilson, Richard Rainwater, John Neff, Mark Lightbrown, Ralph Wanger and George Soros and goes to great lengths to bring out the real investors in them. As you can see, on this list are value investors, short-sellers, international players, growth investors and commodity experts and each of them will provide you with solid insights as well as knowledge in a summarized and simplified approach. The Author, John Train, is the founder of the Train Smith Investment Counsel but he is probably known by most as the former head of the Lampoon or the Signet Society. He founded and was the first MD of The Paris Review and has written quite a number of great business books including Investing and Managing Trusts Under the New Prudent Investor Rule: A Guide for Trustees, Investment Advisors, & Lawyers; The Midas Touch: The Strategies That Have Made Warren Buffett “America’s Preeminent Investor”; Dance of the Money Bees: A Professional Speaks Frankly on Investing and The Craft of Investing among others. They say that experience is the best teacher, but it can be better if you are learning from the experiences of others, especially those who overcame the natural and societal holdbacks and made it big. Their knowledge, strategies and inspiration is wisdom to others, and what better way to learn than from multiple success stories? This book profiles the 17 great people in our world of business and tells of their lives, how they got into business, their paths of investments, their trials and errors, their thoughts and approaches to new opportunities and the best lessons you can learn from each. For instance, when he talks of Warren Buffet, he epitomizes the man as an unequivocal living legend with significant volumes already written about his personality and professional life. He puts emphasis on Warren’s approach to business and how he uses a deep and wide moat approach to escape competition while creating differentiation and how he perfected the principle of ‘buy a great business at a great price, then make it greater’. He quotes Warren’s use of humorous (though dry) choice of words and phrases like “A horse that can count to ten is a remarkable horse – not a remarkable mathematician” but if you know the man you will identify easily with the writing style.